You are here: Home / US Powerball News / A Powerball Jackpot Fit for Royalty! A Powerball Jackpot Fit for Royalty! A Queen’s Ransom – or just a very generous Powerball jackpot – Awaits a Lucky Winner in the US Powerball! The world’s favourite online lottery operator brings you tidings from across the Atlantic: the US Powerball jackpot has rolled over to an astonishing £131.62 million. The June 4th draw lucky numbers were: 1-7-10-22-49 and Powerball #24. Since there were no jackpot winners, the jackpot rolled over once again. 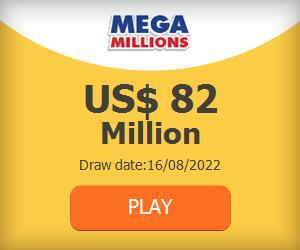 The current jackpot total is listed as $221 million – which in our local currency equates to £131.62 million. Players who prefer the cash value payout will be delighted with the $132.1 million payday – which is a rather nifty £78.67 million. The US Powerball is indeed a marvel to behold. With millions of players participating, the Powerball jackpot prize pool is simply immense. The June 4th draw resulted in several big winners being crowned. These include Match 5 Winners Power Play $2 million (£1.19 million) from PA and Match 5 Winners $1 million (£600,000) from NY. There were also some 739,295 winners across the board in the latest US Powerball lottery draw. More good news is that since no jackpot winners were crowned, the current estimated jackpot is bigger and ready to pop. UK players are increasingly focusing their attention on this multi-million pound lottery game. TheLotter makes it possible for players to purchase tickets right here in the United Kingdom – that’s how easy it is to play the US Powerball Lottery. The beauty of this lottery game is that any lucky 6 numbers can win – you simply need to be in it to win it!